Based on the Comprehensive Golf-Specific Initial Performance Evaluation (see below), Dr. Paul Callaway prescribes your very own golf 'fitness' and 'mental' training program that is delivered through a progressive series of periodized training sessions personally coached by Dr. Paul. Custom total golf performance training programs are available for individuals, families, and small groups. And, if you're a golfer who can't travel to the Cantigny Golf Academy, we have special 'remote' programs delivered on-line. This 'FREE' 30-minute consultation and screening is a great opportunity to meet one-on-one with Dr. Paul Callaway to have him learn more about your current physical and golf performance levels. The consultation is by appointment only and can be scheduled at the Cantigny Golf Academy location in Wheaton, IL, over the telephone and/or via Skype. Dr. Paul also includes a complimentary standing posture and golf address posture assessment, screens any current/former injuries and/or muscle/joint pain problems, and helps you to set total wellness and golf performance goals. This 120-Minute Initial Evaluation specifically measures your golf-specific 'physical' and 'mental' performance factors including posture, balance, flexibility, strength and endurance... full swing, bio-mechanical video analysis, and swing speed assessment... mental focus, visualization, concentration and confidence levels. The information collected during the comprehensive evaluation enables Dr. Paul to customize your total golf fitness and mental training program. You are provided with a comprehensive evaluation report that summarizes the data collected during the evaluation and includes the first set of custom golf fitness and mental training exercises that you will begin independently at home with ongoing support from Dr. Paul. Your initial evaluation report will also include Dr. Paul's specific plan for how your golf fitness and mental training program (on site and/or remotely on line) will help deliver the total wellness, golf-conditioning and performance results established in your individual goals. The '1% Club' provides every member with complete online access to a customized golf 'physical' and golf 'mental' training program for total golf performance enhancement and injury prevention. 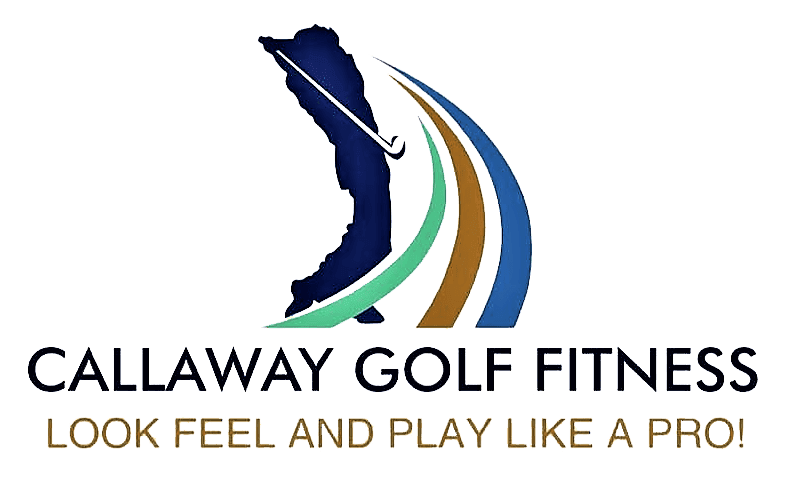 Every Callaway Golf Fitness training program is custom-designed by Dr. Paul Callaway to meet the physical and mental specifications to most effectively facilitate the total golf performance goals of every golfer... beginners to advanced players... who first complete the Initial Performance Evaluation. During each customized session with Dr. Callaway, golf-specific physical fitness exercises focusing on postural symmetry, balance, flexibility, core strength and stability, upper and lower extremity strengthening, and swing speed training are instructed in combination with 'hands on' manual body restructuring techniques, and golf-specific mental training, as needed, to meet your individual needs. Affordable program rates and payment options are available to meet every golfer's needs. Both 'on-site' and 'on-line' remote programs are available as needed. Price: All 'custom' program pricing is based on the individual program services provided. GET STRONG AND GO LONG! End your 'frustration' about being the 'shortest' hitter in your foursome! My 'all-new' SUPER POWER GOLF Training System reveals the simplest and most effective step-by-step training progression for developing increased swing speed, explosive power and massive distance gains... of 30 yards (or more) off the tee... in the next 30 days!